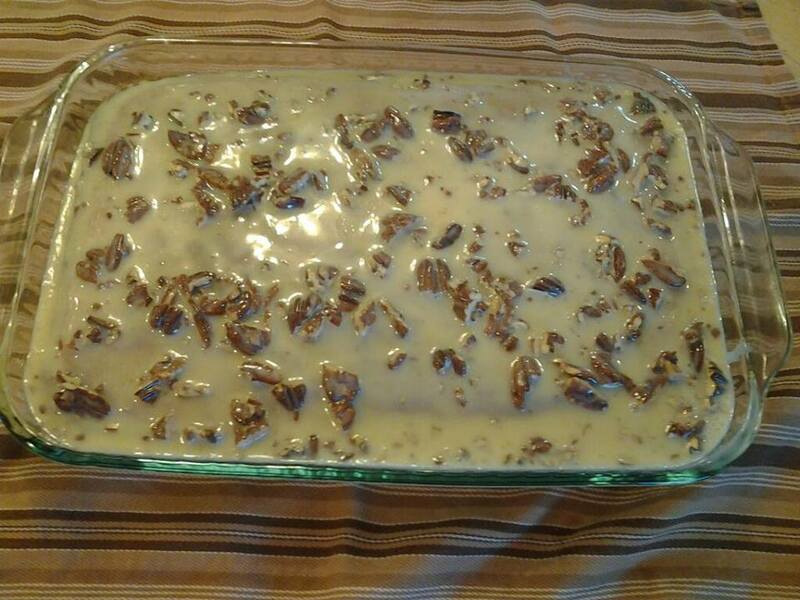 Mix cake ingredients excepts pecans with mixer. Pour into the greased cake pan and bake at 350* for about 40 minutes. just needs to warm then add pecans. Now pour over warm cake and let sit about 10 to15 minutes. Note: Cake can be eaten with or without the topping and is delicious either way!